YOUR PESACH CLEANING GUIDE – Why stress?? Pesach cleaning is not an easy process and many of us make it more complicated and tiresome that it need be. There is a famous saying that goes something like, ‘Don’t forget on Pesach dust isn’t chametz and your wife isn’t a Korban Pesach’ The idea is don’t drive yourself nuts as it’s not necessary! I put these guidelines together – They were checked by Rabbanim. – Absorption – As in general with Issur Ve’Heter, we look at how the taste has been absorbed when deciding if there is a problem and how to deal with it. The phrase you need to remember is ‘K’Bolo Kach Polto’ – which roughly means – in the way the forbidden taste was absorbed, it must be extracted. In other words, if the forbidden taste, or in the case of Pesach the Chametz, was absorbed, in that same way it needs to be extracted. For instance, if there is a possibility that the chametz was absorbed when cooking in water or a liquid you need to do ‘Hagalah’ (submersion in boiling hot water on a Kli Rishon). If the forbidden chametz was absorbed not by liquid, but by heat alone/ directly on fire or flame, you usually need to do ‘Libun’ (either libun kal – on a stove top or fire or libun chamur – where the vessel actually turns red – see below). In cases where you just want to clean very well, but there wasn’t absorption by heat at all, you do ‘Írui’ (pouring hot water from a Kli Rishon). – Hagalah – purging: Submerge utensil in boiling water on a Kli Rishon. 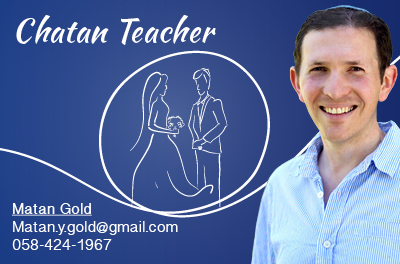 – How long should a regular Hagalah take? The Poskim say between 10 – 15 seconds. – Libun – burning (literally ‘whitening’): The utensil is heated directly by a fire or blow torch until it reaches high/extremely high temperatures. Most utensils just need libun kal, unless they came into contact with mamash chametz and the metal was red hot. 1) Libun Kal – Hot enough to burn a piece of straw or tissue. You do Libun kal on utensils that haven’t come into direct contact with red hot metal, for instance the handle of a pot. 2) Libun Chamur – Use a blow torch. Must be hot enough for the utensil to actually turn red, be glowing hot and for there to be sparks. Libun Chamur is done for instance with a BBQ grates that have had pitot or meat with chametz burnt on them. – The way to kasher is Hagalah. Libun is used less (be careful not to damage the utensil whilst performing libun). – Which utensils require libun? Those used directly on the fire, without liquid. For instance, a spit, frying pan, baking pan, stove grates, oven racks etc. – Which materials may be kashered? Wood, stone and all metals – gold, silver, copper, steel, aluminium. -In general, in order to be a problem, chametz must be edible. -Absorption: In Hilchot Kashrut, there needs to be heat in order for absorption to take place. If everything is cold, then absorption usually can’t take place (unless it’s a ‘Davar Charif’ like an onion or radish). So, when deciding whether or how to Kasher your utensils for Pesach-ask yourself, ‘Is there a chance the Chametz was absorbed into the utensil by heat or was it cold? It there was no heat, then usually you should just clean the utensil thoroughly. Again, the principle you need you need to remember is ‘K’Bolo Kach Polto’ – you extract the forbidden taste in the same way it was absorbed. If it was cold, then you just need to clean thoroughly, if through cooking in water, then you need to do Hagalah, if directly on heat or fire, you need to do Libun. Which materials cannot be kashered? Glass, enamel, porcelain, china, Teflon. For plastic, rubber, and nylon ask a Rav. –If you can’t kasher a utensil – for instance a sieve, strainer, grater and grinder you can’t use it. -You can kasher several utensils at the same time. – You only are expected to do what you physically can. In other words, you can’t put your whole kitchen surface and do ‘Hagalah’ – so even if you had to, you do Írui’ and then cover the surface. – When you do Hagalah or Libun, you shouldn’t use the object for 24 hours beforehand to make sure the taste is not good – ‘Notam Tam Lifgam’. If you can’t wait 24 hours, then you add soap or other liquid that ensures the taste goes bad and doesn’t enhance any food placed in the vessel or utensil. 1) Microwaves: Clean thoroughly, don’t use for 24 hours. Boil a cup or bowl of water for several minutes to allow the steam to fill the microwave, following which the cup/bowl should be removed and the inside of the oven cleaned/dried. Whilst cooking food over Pesach, cover it (this is the preferred practice for the rest of the year too). The circular under plate/ glass dish you place the utensils on in the microwave- As the dish doesn’t come into direct contact with food, then you just clean it and do Hagalah. If you can’t do Hagalah then Írui’ is good enough. If it’s a self – cleaning oven – run it through the self – cleaning cycle. The racks and stove grates must also be kashered so leave them inside. Normal oven – Clean thoroughly, don’t use for 24 hours, put on maximum heat for roughly an hour. The racks from inside the oven should be cleaned and then do libun kal. Covering food when cooking in oven over Pesach is a chumra. One compartment of a two-compartment oven may be kashered, and the second compartment can simply be closed up without using it for Pesach. – Grates (that the pots sit on): Clean thoroughly, do libun kal (or libun chamur if necessary) with them, wrap with aluminium foil. – Burners: Clean thoroughly, light gas and leave on high for 5 – 10 minutes. – Stove trays: Clean thoroughly, and then libun kal and then cover well with foil. – Electric stoves: Clean and switch on highest heat for five minutes. – Electric hot plate: Clean off all spills and cover with thick foil. Clean thoroughly with an acrid detergent, don’t put anything hot in it for 24 hours, make sure it’s clean and dry and do Irui (pouring in boiling hot water from a kli rishon – such as a kettle). You kasher the sink this way section by section. Covering the inside of sink with thick foil is a chumra. Boiling water from the kettle should also be poured on the taps. 5) Kitchen Surfaces:  If made out of metal, pure marble or pure granite – clean, don’t place anything hot on them for 24 hours, do Irui section by section, cover with thick foil. Surfaces of other materials should be cleaned well and covered with something waterproof that is strong and won’t tear over Pesach. 6) Cupboard shelves: Clean thoroughly, the minhag is to line shelves, but no need to. 7) Kitchen tables: On which food is placed should be cleaned and covered with a durable covering which will not tear. 8) Fridges: Clean with detergent – minhag is to line the shelves but no need to. Why no need to line the shelves? As it’s cold, and as already mentioned absorption only takes place when there is heat. 9) Freezers: Clean with detergent. No need to line shelves. 10) Dishwashers : Can be kashered by cleaning, waiting 24 hours and operating with dishwasher detergent for full cycle without any utensils inside. 11) Frying pans: Need Libun Chamur. Why? Because pans come into direct contact with heat, with no significant liquid medium involved. Even though there was oil in the pan, this is not like cooking with water in a pot (which just requires Hagalah). Again, don’t forget the key concept- ‘K’Bolo Kach Polto’. If LIbun chamur will ruin the pan, don’t do it-buy a new one! 12) Blech/ hot plate: Clean, wait 24 hours, turn on maximum heat for an hour or so. 13) Mixers/blenders: If chametz was used in the blender, must replace the blades and bowl for Pesach. Rest of machine must be cleaned thoroughly. If chametz wasn’t used, you can kasher the blades by hagalah. If the bowl is made of metal you can kasher it, if it’s made of glass or plastic you need to ask a Rav. 14) Toasters: Clean thoroughly and put away. 15) Crockery: You must clean well. We don’t do hagalah on china / porcelain etc. except in very exceptional circumstances If you’re convinced that the utensil didn’t come into contact with hot chametz, it’s enough to clean thoroughly with a steel wool type cloth or brush, instead of NÍtzah – digging in the ground 10 times. 16) Kiddush Becher: Clean with a steel wool type cloth or brush – the Minhag is to do hagalah. 17) Glass – More complicated: Glass doesn’t absorb. If convinced the glass came into contact with hot chametz, then Ashkenazim are machmir and say really you should buy new glass utensils for Pesach. However, if you cannot afford to, then you must clean thoroughly and do Hagalah (provided there is no chance the glass will break). If there is a chance the glass will break you should just clean thoroughly. Sefardim are meykil with glass and and say as glass can’t absorb you just need to clean and you can use them. As I mentioned, Ashkenazim are machmir and prefer not to do Hagalah at all with glass utensils. With glasses you have used to drink with and there was no heat involved– these can be kashered by immersing them in water for 72 hours and replacing the water at intervals of precisely 24 hours. 18) Metal pots: Clean, don’t use for 24 hours, Hagalah. You should break them up and remove the handle to clean – to the extent this is possible. If you can’t, don’t worry as less chance there is chametz you can’t get to. 19) a) Kettle: Hot water kettles do not require kashering if no food or drink other than water has been heated in or over them; it is sufficient to clean them. A kettle over which Chametz has been heated, and which contains lime scale (avnit), cannot be kashered unless all of the limestone is completely removed from the kettle. b) Shabbat Urn: If there is a concern that challot or other types of chametz were warmed up on top of the urn you must do libun chamur (as it’s direct contact, with heat), if there is no such concern, then you do hagalah by filling up the urn and boiling the water. c) Pressure cooker:Clean thoroughly, wait 24 hours, do Hagalah and use. 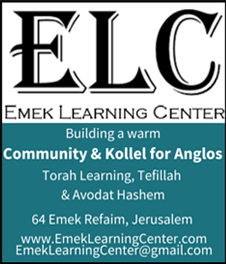 Basic Halachot for this year, Erev Shabbat etc click on here. -For Ashkenazim -Forbidden to eat. -Also forbidden to eat if in the home of Sefardim who do eat them. -Permitted to eat on Isru Chag- the Shabbat after Pesach. -Permitted to cook them on Friday with Pesach utensils. 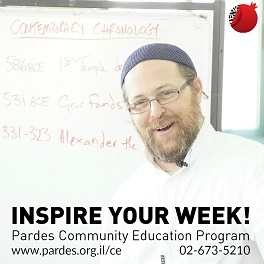 Rav Pinchas Scheinberg said that it should take just 2 hours to prepare your home for Pesach. Here are the Pesach Guide from Rav Scheinberg. Dayan Lopian – Pesach cleaning made easy. 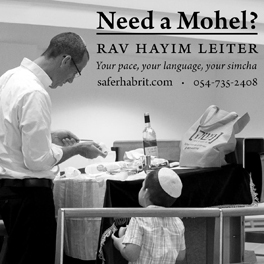 Rav Aviner – Pesach cleaning made easy. Rabbi Brovender – How to clean an oven.